Why Hosted IVR is Helping Businesses Today? As an automated telephony system, Interactive Voice Response (IVR) helps businesses to accelerate customer service delivery by allowing callers to interact with live agents and use self-service options. The businesses have option to choose from two broad categories of Interactive Voice Response (IVR) systems – on-premise IVR and hosted IVR. The on-premise IVR requires businesses to set onsite IT infrastructure and deploy skilled IT professionals to further manage it. The IT professionals need additional time to extend and customize the onsite IVR system to meet changing business needs and emerging call center trends. Unlike on-premise IVR, cloud-hosted IVR does not require businesses to build and maintain onsite IT infrastructure. The automated telephony system runs on a remote infrastructure which is managed and maintained by the cloud telephony service provider. The businesses can access the hosted IVR solutions over the internet without relying on any specific hardware or software. A business can use hosted IVR for a number of purposes – replacing human receptionists with virtual receptionists, conducting market research, collecting customer feedback, marketing products/services, and allow callers to gather simple information. Many businesses even leverage cloud-based IVR solutions to make call center agents productive and improve omni-channel customer experience. 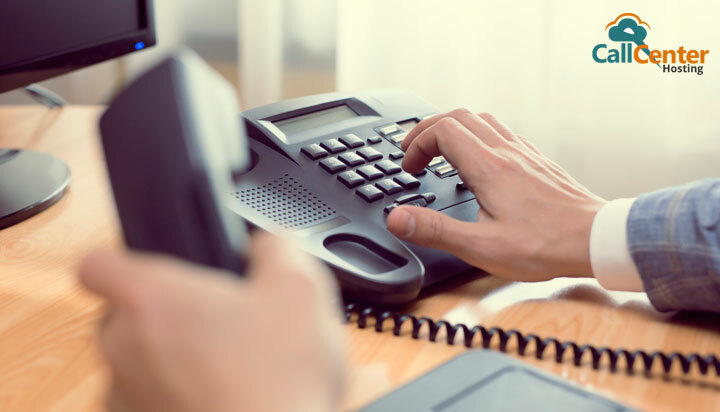 However, it is always important for the business to compare the features provided by the hosted IVR systems according to its precise business communication needs. The hosted IVR solutions enable businesses to replace human receptionists with virtual or automated receptionists. Each time a customer calls the business; he/she can avail relevant information or solve simple problems using a set of predefined interactive options. The interactive options enable businesses to deliver customer service by replacing live agents with auto-receptionists. The auto-receptionists further have the capability to route the call to the right agent or department. In addition to interacting with callers through pre-recorded voice messages, the hosted IVR solutions route the incoming calls to the right agent, department, or queue based on specific criteria. While interacting with callers through auto-receptionists, the system collects and analyses user input. It ensures first call resolution by routing the call to the most qualified agent or the relevant department. The callers even have options to interact with a live agent while using the self-service options. The call centers record incoming and outgoing calls for a number of purposes – assessing call quality, monitoring issue resolution, determining training needs, and making right business decisions. The hosted call centers record both incoming and outgoing calls automatically. The sophisticated systems even save the calls in HD format. Hence, it becomes easier for decision makers to evaluate the recorded calls and gain actionable insights. Along with recording incoming and outgoing calls, the new age cloud telephony systems also feature IVR analytics. The decision makers can leverage the IVR analytics to assess call center performance based in important KPIs like response time, misrouted calls and first call resolutions. They can further use the analytics to understand customer behaviour and deliver better customer service. The cloud IVR solutions greet callers with pre-recorded welcome messages. They come with built-in speech-to-text software to make it easier for users to record multiple messages and prompts. Also, they allow users to customize the welcome messages in a number of ways to make them appear more professional and impactful. The small businesses and start-ups can take advantage of this feature to appear like large enterprises. Many callers disconnect calls when their calls are being routed to a specific department or queue. The hosted IVR solutions prevent caller abandonment by playing soothing music when the call is on hold. They allow businesses to play the music of their choice. The businesses also have the option to replace the music on hold with advertisements and promotions. The sophisticated hosted IVR solutions feature intuitive and user-friendly dashboards. The dashboards make it easier for users to manage, monitor, and report multiple IVR campaigns without switching from one interface to another. The dashboards even make it easier for agents to manage calls and supervisors to monitor the calls. A business can use cloud-based IVR solutions to send email notifications to the customers during and after interactions. As the business can integrate the IVR solution with its CRM system, the customer will receive an email notification after the completing the interaction. The businesses can use email notifications as tools to collect customer feedback and assess customer service quality. Also, the business has the option to receive an email automatically for each call answered by the IVR solution. The new age cloud telephony systems feature multi-level IVR solutions. The multi-level IVR solutions allow callers to choose from a variety of self-service options. Also, they provide additional self-service options to callers based on the option selected by them. The multi-level IVR solutions help businesses to manage high call volume without deploying additional live agents. Most businesses nowadays use customer relationship management (CRM) systems to manage customer data efficiently and gain actionable insights regularly. The cloud-hosted IVR solutions can be integrated seamlessly with the existing CRM systems. The integration helps agents to keep customers engaged by personalizing customer service. Also, the salespeople can carry out cross-selling and up-selling activities more efficiently by access updated customer information. In addition to streamlining call center operations, the hosted IVR solutions help businesses to improve omni-channel customer experience. The businesses can take advantage of the new age telephony systems to deliver customer service through emails, text messages, fax, call backs, and phone calls. Many businesses leverage cloud IVR solutions to deliver on-time customer service through commonly used channels. The cloud-hosted IVR systems help businesses to automate and accelerate customer service delivery without investing in onsite IT infrastructure. But no business can leverage new age telephony system fully without selecting the right hosted IVR system and a high quality vendor. The enterprise also need to opt for an hosted IVR system that can be customized and extended according to current business communication needs without any hassle and delay. 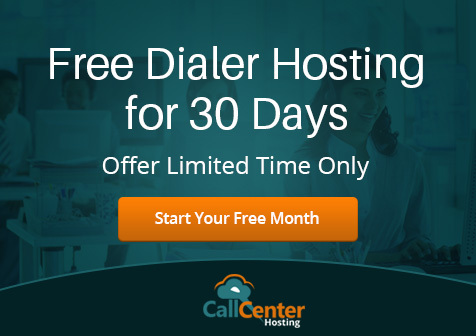 Call Center Trends: 5 Things to Watch in the year 2019 What Type of Outbound Dialers Does Your Call Center Need and Why?